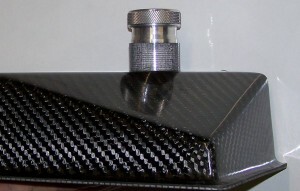 7.5 Litre Carbon Fibre Fuel Tank Custom Made To Fit Under Venom Engine Scoop, The Product Is Manufactured Using Epoxy Infusion Resin, 450g 2×2 Twill Carbon Fibre. This Fuel Tank Is Petrol And Ethanol Inert . Other Tanks Can Be Made To Customers Specifications, Contact Us On 07875335702 Or Email By the Website.